Yeah, this is weird. Both cooling fans start almost as soon as I start the engine. As in I start the engine, then 5 or 10 seconds later, both fans come on. 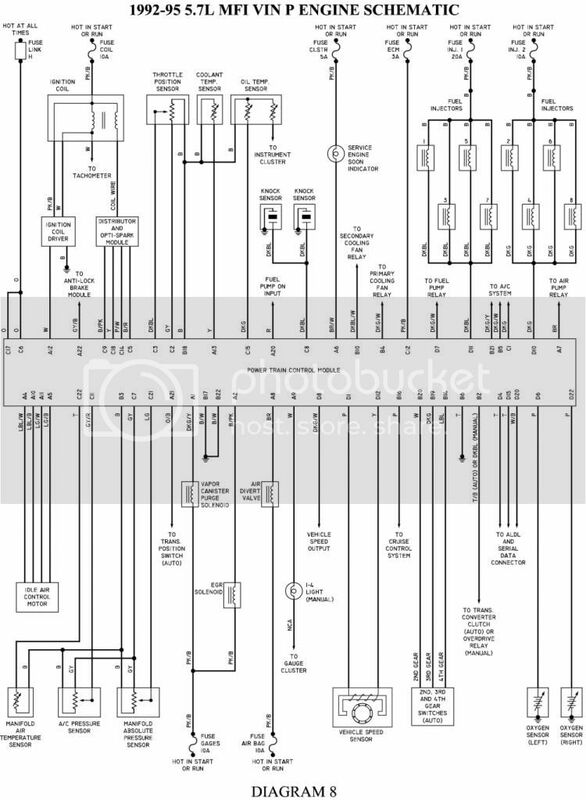 So, I got out my DVM and a diagram of the engine cooling fan circuit found on CorvetteActionCenter.com. What I found was that the relays were functioning correctly. 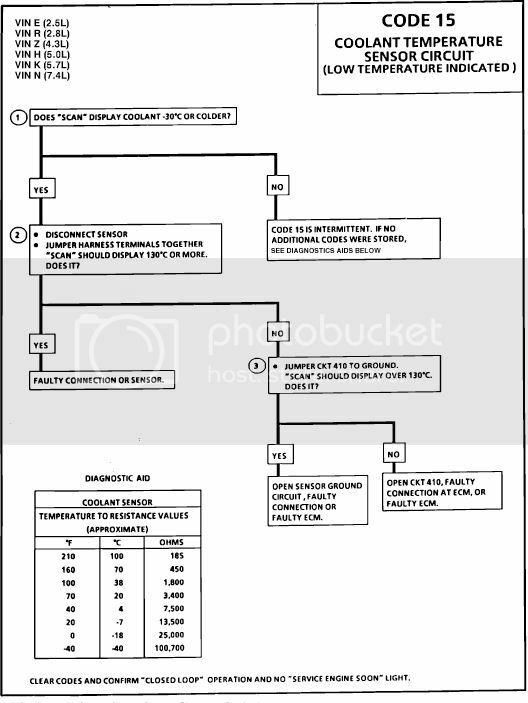 Which means that either the A/C pressure switch, or the engine coolant temperature switch was closed. Normally, they're both open - when their conditions are met, they close and connect to ground. Then I tried disconnecting the switches from their sensors by removing the connector caps. Removing either one produced no change, so I removed them both at the same time. No change there, either. OK, I'm scratching my head, now. I double-checked everything to be sure I had the right sensors. 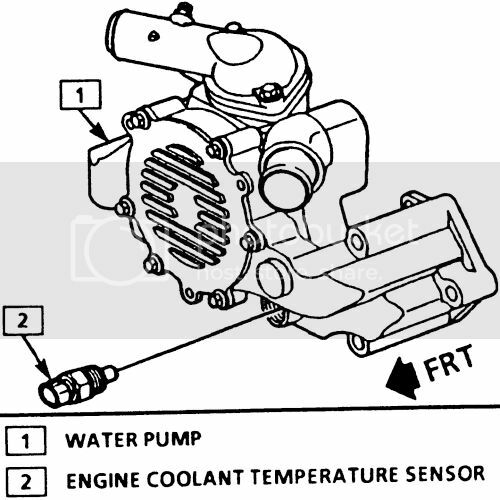 The temperature coolant switch is on the front of the engine, below the throttle body. The A/C pressure switch is on the right side of the engine compartment, by the filler nozzle. I tried measuring the resistances. Both had a good connection to ground. The other pin on each connector had a good healthy resistance. That's just what I would have expected. Then I moved to the relay. And this is what I have trouble understanding. The relay operates whenever either of the two sensors connects to ground. Even with both sensors unplugged (meaning they can't produce a grounded signal), the line carrying their signal is grounded, which causes the fan to start. Looking at the diagram I have I don't understand how this can be happening. The sensor caps show that their signals are not grounded, yet the input to the relay, which is just connected just by wire to these signals, is grounded. It is a '93, so it's possible that somewhere in the wiring harness, a short has developed. But then, how can the sensor leads show a good resistance to ground? They're supposed to be connected. Unless I'm just not on the right sensors. hmm.... both fans come on as soon as you start..
replace the engine coolant temp sensor with an AZ or Wells SU102.. that is a kit that comes with the engine coolant temp SENSOR and a replacement pigtail.. they are under 20 bucks.. there are other brands with both parts.. either sensor or pigtail has failed..
this has been a nightmare for other L98 and LT1 owners.. as its not always far enough to set a trouble code..
the coolant temp sensor for the PCM is on the water pump a black and a yellow wire. 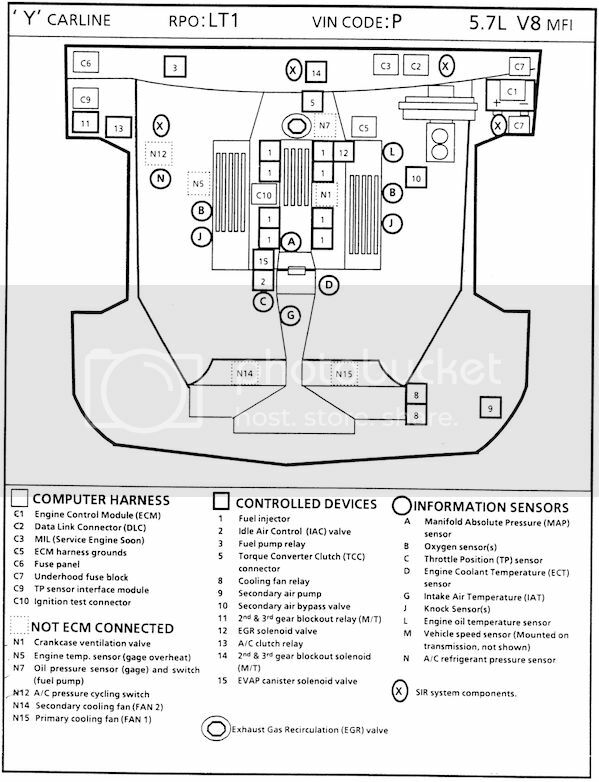 do you have a panel on the instrument cluster with the button engine data??? if you push that button.. that should be actually be the ECT data from the PCM.. not the TEMP SENSOR which is screwed into a cylinder head..
probably N5 in the component locator..
since you have a 93... its fairly easy to pull codes..
can you disconnect the 2 wire engine coolant temp sensor and get either a code 14 or 15.. then turn off the key.. disconnect the battery or pull the ECM fuse to clear the code.. and jump the connector and get the other code.. i have forgotten which one is open.. which one is shorted.. it won't hurt the computer to perform this.. it a PROVE it works test. 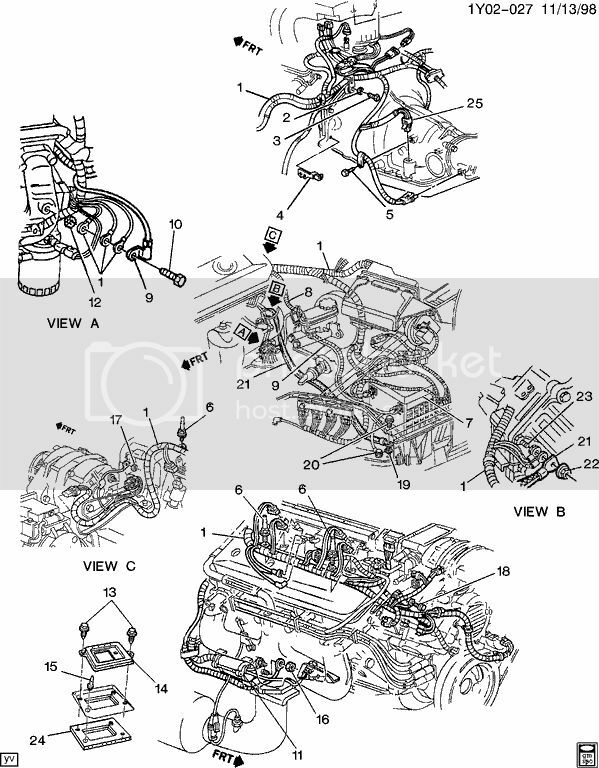 you did not say that you have the LT1 motor.. but you would have said that you have an LT5..
so it looks like the radiator fan relays are only controlled by the PCM ..
lets look at the engine control diagram..
you can see the coolant temp sensor wiring.. the 5 volts reference wire shared with the throttle position sensor and the oil temp sensor..
this is why i would like you to attempt to FORCE a code 14 and then a code 15.. if the wiring to those has reduced the current/voltage on the black wire.. you will not be able to prove the codes..
between the black wire and the yellow wire should be 5.0 volts. exactly..
between the battery and engine..
between the engine and chassis..
between the engine and the computer harness..
why.. the computer is only hooked to the engine..
and if you have lost any other ground connections.. because the alternator puts out the charging current on the negative side .. if the ground wires are dirty.. you could have significantly more voltage on the engine block than is in the chassis..
oh... and i don't have in my hand.. if you notice on the wiring diagram that there are 3 wires on the right side that show TO AC SYSTEM.. one of those might be to the HIGH PRESSURE SWITCH.. that comes on when the ac pressure is high to turn on both radiator fans to cool the condenser ..
i will have to search this out..
ok... i found my probst corvette book that has all but the L98 diagrams in it..
look for a AC pressure switch with a LIGHT BLUE and a DARK GREEN and yellow striped wire and UNPLUG it from the switch..
this is the face of the connector..
see if the fans come back into normal operation..
if you had a scan tool . you could see if the AC request was ON OR OFF. or YES or NO..
the LIGHT blue wire goes to the HEATER and AC control head on the cars with manually controlled C60 RPO ac system. . OR the AC programmer on the C68 with digital climate control. check your build sticker.. but both are in the same location in the dash..
if the dark green and yellow wire is shorted to ground someplace.. you will have both cooling fans that come on..
if the dark green and yellow striped wire is grounded someplace.. it will turn on both cooling fans as you describe.. even with the pigtail disconnected..
and prove you can force a code 15 or code 14 with the coolant temp sensor.. this sensor is in the water pump housing.. not on the cylinder heads..
if the gauge sender is on the drivers side of the motor.. i expect a solid green wire..
if i had one sitting around.. do you think i would be sitting here typing.. nope.. i would be out wearing the tires off it..
let me know what you find..
or post some under hood pictures.. use photobucket and paste the links here..
Wayne, first off, thanks for posting all of that great info. Spent some more time with the car today. First off, I found both ends of the wire that the computer sets to drive the relay. The wire is intact, and not grounded. Which means that the computer told the fan to start turning. Now it does this even when both the temperature coolant switch and the A/C pressure switch are open. I'm slowly looking through Wayne's procedures to see what's going on. Near the end of one of Wayne's notes, he suggests reading voltages and mentions measuring the voltage between the car body and both the engine block and the battery's negative post. On a normal car, I'd understand what to do, but on a fiberglass body, I'm not sure where I should actually put the probe. Any ideas? Also, it looks like I'm going to have to buy a scan tool. What's the recommended choice for a '93? 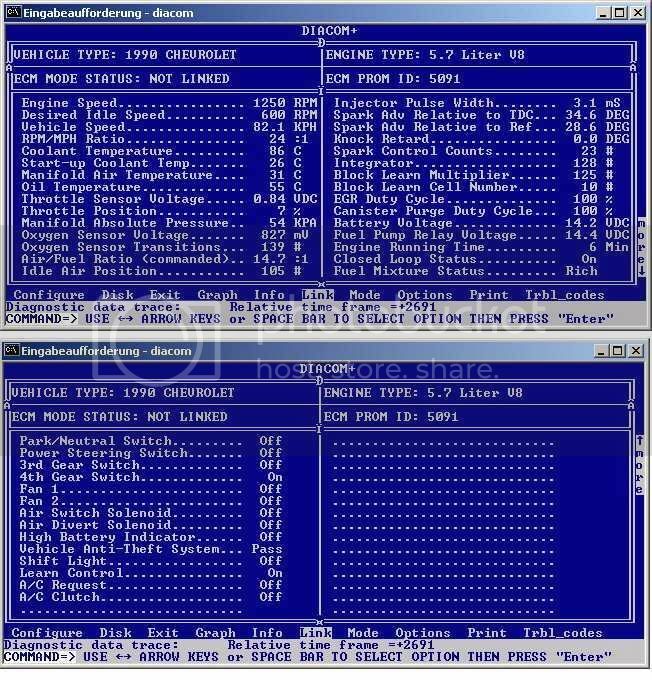 here is a post i put up on scan tools for C4 corvettes. Near the end of one of Wayne's notes, he suggests reading voltages and mentions measuring the voltage between the car body and both the engine block and the battery's negative post. On a normal car, I'd understand what to do, but on a fiberglass body, I'm not sure where I should actually put the probe. Any ideas? sorry... chassis/frame on a corvette..
i think the firewall is steel on a C4.. as is a lot of the structure under the plastic panels..
so.. probe to things like the brake master cylinder..
and the ground studs where all the wires are attached..
i am trying to make sure that the grounds are intact..
there have been lots of issues..
22, same as 3 above bell housing to engine bolt. oh... this G111 location is the main PCM ground connection.. spend the time. pull the coil and module bracket and clean that pair or three wire ground connection..
coolant temp above spec turn on temp..
incorrect coolant temp. that does not match the air temp on start up. like a disconnected or open or shorted coolant temp sensor .. code 14 or 15..
possibly a shorted wire from the passenger side of the engine.. between the #6 and 8 spark plugs where the TEMP OVER HEAT light switch is. 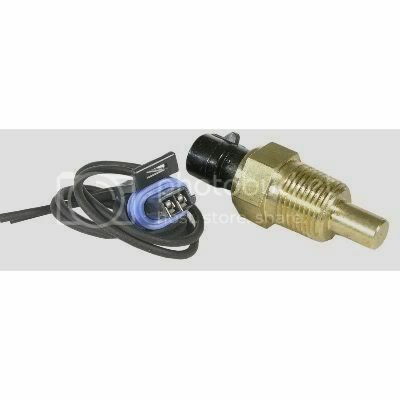 there might be a very small hex head sensor screwed into the back of one of the heads that is a engine metal temp overheat sensor..
the AC High pressure cycling switch is shorted to ground.. or the wire attached. and.. why clean the grounds.. and measure them.. you have a 93 model. that means your car is either 20 or 21 years old.. and stuff comes loose.. corrosion builds up on the zinc plating on the ring terminals. if there is a difference in voltage between the engine or body or battery.. you will freak out the Digital computer that is using the ground for half the circuit..
i don't get under the hood of the C4 LT1 cars often.. so i don't know them as well as the crossfire and the L98 cars..
but i totally understand how the computer thinks and how the systems work..
even if i have some issues explaining it..
be sure to click the link above to check out the various scan tools..
if you have the C68 digital climate control.. there may be a way to access the system like we do with caddys.. by pushing some of the buttons.. but i don't have a 93 service manual to find the chart of button pushing..